I'm proud to be one of your contributors for your products. I've selected the Astra Early bird package and i would like to ask you some questions about the compatibility of your Astra Pro sensor and OpenNI SDK to be sure of my choice between the Astra and the Astra Pro sensor. Just saw in another subject (https://3dclub.orbbec3d.com/t/is-it-possible-to-use-openni-with-the-astra-pro/50) that the Astra Pro video format (720p) is not compatible with OpenNI, but is there any way to make your HD sensor send 640x480 video format to the sdk? If it is not possible, is it possible to only use depth stream with openNI to get skeleton tracking and to open the video stream separatly (like a webcam video stream)? Instead of a new thread, posting in the existing one, which you have already found (with the same thread title), would have been better - less noise, more focus. You can open the depth stream of Astra Pro with OpenNI and use lit like normal. The color stream of Astra Pro is only accessible through the UVC (webcam) interface, which OpenNI doesn't support. We are working on better Astra Pro color support for the Astra SDK, but it isn't ready yet. As for skeleton tracking, we are working on our own skeleton tracking (#1 priority right now) and will update when we can share news! Thank you very much for your answer. I finally received the sensor form the indiegogo campaign and was able to get depth and video streams (as webcam) on Linux. for Astra Pro's UVC color camera. They will help you get RGBD via openNI. I was not able to make it work. Does anyone run it ? OpenNI does not find my Sensor apparently... Weird! I run OpenNI 2.2 and works fine. Have you installed the driver for Astra? This comes separately from the SDK. Yes i have installed both Astra drivers and SDK. I have also installed OpenNI2. Alright, I got it now. I have just done it ... without any success ..
EDIT: @gmast it is working in fact but with 32 bits version actually. EDIT2: Indeed, I completely mixed up the DLL between 32 and 64 bits. 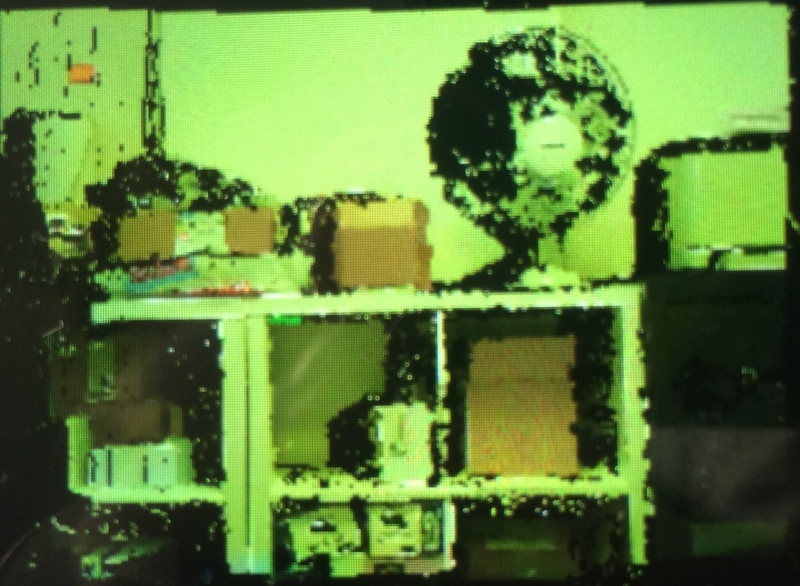 I have the same problem as @Victor with a depth image colored but the color seems like with a yellow filter. Is-there any solution to this problem ? Can you please post an image. @Thibault Do you have the Astra Pro ? @Victor Yes it's what I have. Any idea what is going on there ? @Victor maybe you just dont set the color for each point in the pointcloud. can you re-upload the sample code to get RGBD-Data via OpenNI?